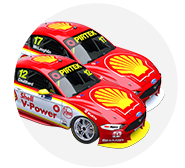 Shell V-Power Racing pair Scott McLaughlin and Fabian Coulthard and leading team bosses have tipped their hat to Anton De Pasquale's performance to claim a maiden Supercars podium. 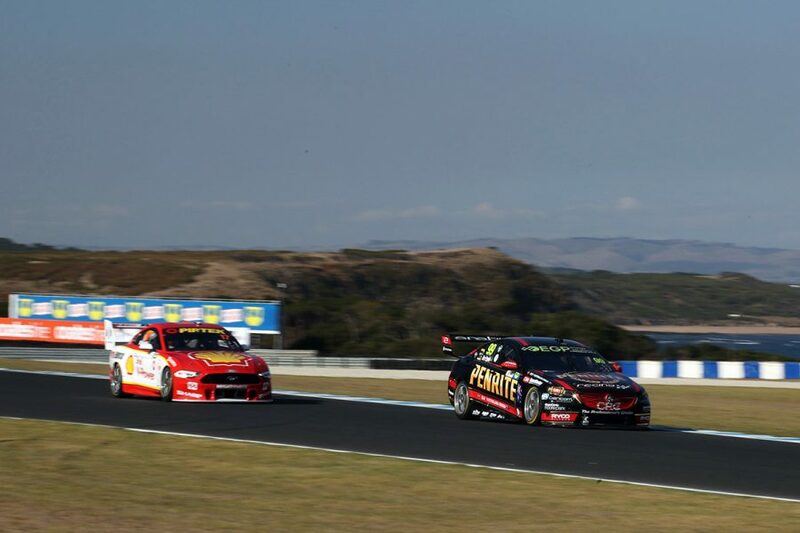 The Penrite Racing youngster finished third in Sunday's second leg of the WD-40 Phillip Island SuperSprint, his 41st start. 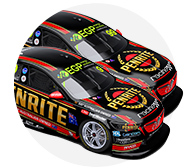 De Pasquale made his debut last year after a pair of Dunlop Super2 Series seasons but without any PIRTEK Enduro Cup experience, finishing his rookie campaign 20th in the points. He qualified fourth and ran with the Shell Mustangs early on Sunday, jumping McLaughlin during the pitstop cycles before being passed at Turn 2 on lap 20. The 23-year-old put in a confident run to third from there, despite a late scare over fuel, and is now 12th in the championship. "He was driving hard and it was awesome," McLaughlin said. "I was like 'I've got a fair job on my hands', because he is a young guy who wants a good result. "I enjoyed racing with him. He's a great young talent and someone I'm really excited to see in the future. "We had a great battle at Turn 2 and maybe next time he'll block me a bit better." Team owner Betty Klimenko revealed to Supercars.com post-race that she is 'eating humble pie' about De Pasquale, having initially wanted to sign an experienced driver. 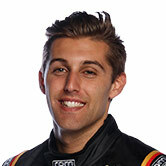 Sunday race winner Coulthard echoed McLaughlin's sentiment that De Pasquale is "a great young gun". 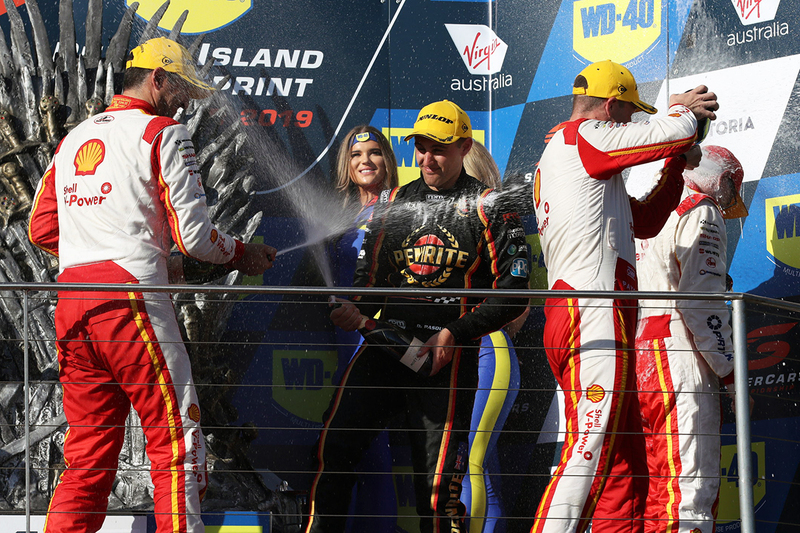 "You work so hard throughout to get into Supercars, then to get that first podium is pretty special," Coulthard, whose first came at Symmons Plains in 2009, said. "It's a lot of hard work, the category is tough, the difference between first and last is tenths of a second. "He's done a fantastic job and he's definitely a star of the future." Their DJR Team Penske bosses agreed; Ryan Story hailing the influence of De Pasquale's mentor Paul Morris. Bathurst winner Morris ran De Pasquale in Super2 in 2016 and '17, after the youngster's return from Europe, where funding curtailed a dream of reaching Formula 1. "He's a good kid," Story said. "Paul Morris has done a ripper job bringing him up." Red Bull Holden Racing Team chief Roland Dane highlighted the gap between De Pasquale and Bathurst winner Reynolds on the Sunday. De Pasquale in fourth out-qualified his experienced team-mate by 12 places and finished the race 23 seconds ahead of 11th-placed Reynolds. In fifth, though, Reynolds remains the top Penrite Racing driver in the championship after 10 races. "Anton did a great job this weekend," Dane said. "And clearly it was a bit of Anton somewhere there, because his team-mate was a long way behind him. "That was an outstanding job to get on the podium and for sure gave us a target of where we should've been."